If you're making your way to Habarana and you don't know much about it, don't worry — we can give you a hand! This town is 15 miles (24 kilometers) away from Dambulla and 18 miles (29 kilometers) away from Polonnaruwa. Get unbelievable bargains on vacation packages via Travelocity. Simply choose from upwards of 400 partner airlines and 665,000 places to stay, and you'll be off to Habarana in a jiffy! Our Customer 1st Guarantee gives you 24/7 personal assistance on everything from flights and accommodations to rental cars and activities. Discovered a better deal elsewhere? We'll match the price and refund the difference^. All vacation reservations may be easily adjusted with no unforeseen fee from our end. And as long as you get in quick, many accommodations won't charge you a fee either^. No one wants to get stuck with a less-than-appealing room (or even worse, no room at all!) That's why you should sort out your Habarana accommodations early. Peruse its 9 properties and book today. 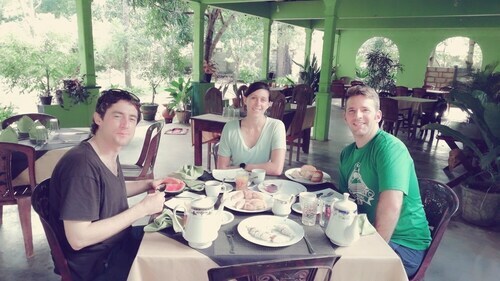 The Cinnamon Lodge and Aliya Resort & Spa are some of Travelocity's top accommodation options around Habarana. Where do you fly into for Habarana? The thrill and excitement of being in an entirely new destination never gets old. Once you've safely arrived at China Bay Airport (TRR), the center of Habarana will be only 45 miles (72 kilometers) away. Can I rent a car in Habarana? No matter if you're going to Habarana all by yourself or with a group of pals, it's always more convenient to have a car. Travelocity offers a variety of rental options, so select one now and start creating your road trip playlist right away! Sure, you could find the idea of staring at some rocks slightly underwhelming. However, Pidurangala Rock is not your average piece of stone. Stop by this hardy natural formation and marvel at its grandeur. Need more options? Want to alleviate the stress of your busy life? Savor the fresh air as you go for a romp through Minneriya National Park. If you're traveling to Habarana, you don't have to limit yourself to this location. Anuradhapura is only 30 miles (48 kilometers) from here and offers a whole range of close by things to do, including the Ruwanwelisaya. Need another reason to visit? The Thuparamaya is also within reach. Situated in Habarana, this eco-friendly resort is 5.8 mi (9.3 km) from Minneriya National Park and within 12 mi (20 km) of Ancient City of Sigiriya and Pidurangala Rock. Ritigala Ruins and Sigiriya Museum are also within 12 mi (20 km). Situated near the airport, this luxury lodge is 5.8 mi (9.3 km) from Minneriya National Park and within 12 mi (20 km) of Ancient City of Sigiriya and Pidurangala Rock. Ritigala Ruins and Sigiriya Museum are also within 12 mi (20 km). 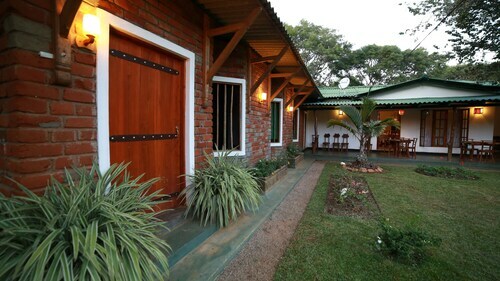 Situated in Habarana, this guesthouse is within 9 mi (15 km) of Minneriya National Park, Ancient City of Sigiriya, and Pidurangala Rock. Sigiriya Museum and Ritigala Ruins are also within 12 mi (20 km). 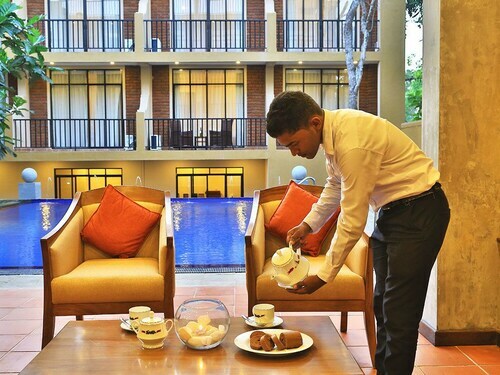 Situated in the historical district, this hotel is within 12 mi (20 km) of Minneriya National Park, Ancient City of Sigiriya, and Ritigala Ruins. Pidurangala Rock and Sigiriya Museum are also within 12 mi (20 km). 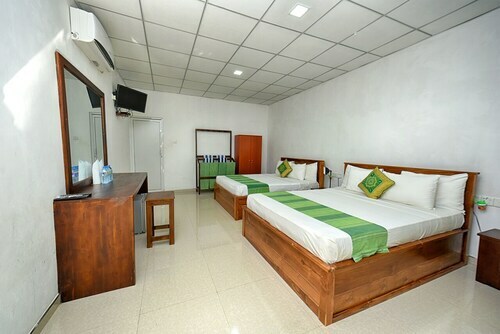 Situated in Habarana, this hotel is 5.5 mi (8.9 km) from Minneriya National Park and within 12 mi (20 km) of Ancient City of Sigiriya and Pidurangala Rock. Ritigala Ruins is 11 mi (17.6 km) away. 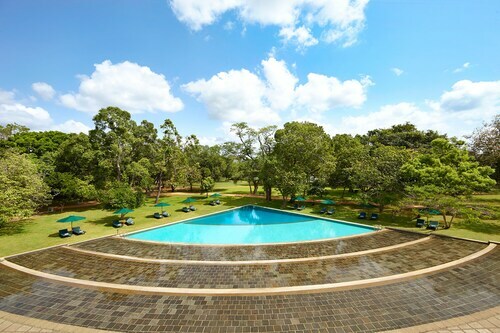 Situated in Habarana, this hotel is within 9 mi (15 km) of Minneriya National Park, Ancient City of Sigiriya, and Pidurangala Rock. Sigiriya Museum and Ritigala Ruins are also within 12 mi (20 km). Situated in Habarana, this resort is within 12 mi (20 km) of Minneriya National Park, Ancient City of Sigiriya, and Ritigala Ruins. Pidurangala Rock and Sigiriya Museum are also within 12 mi (20 km). 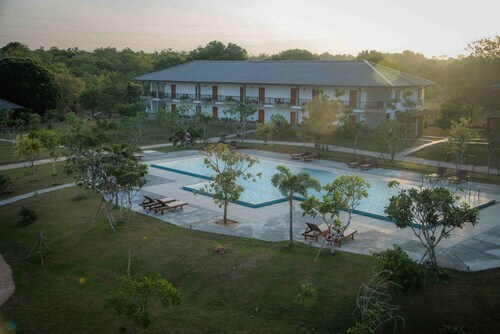 Situated in Habarana, this hotel is 5.8 mi (9.3 km) from Minneriya National Park and within 12 mi (20 km) of Ancient City of Sigiriya and Pidurangala Rock. Ritigala Ruins and Sigiriya Museum are also within 12 mi (20 km).